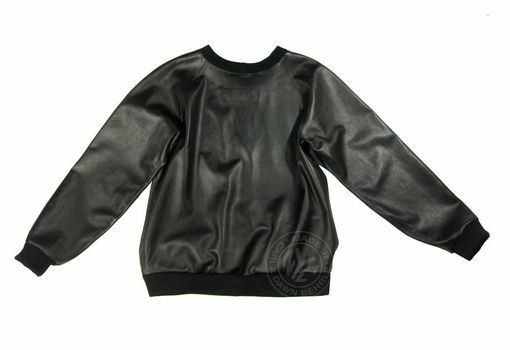 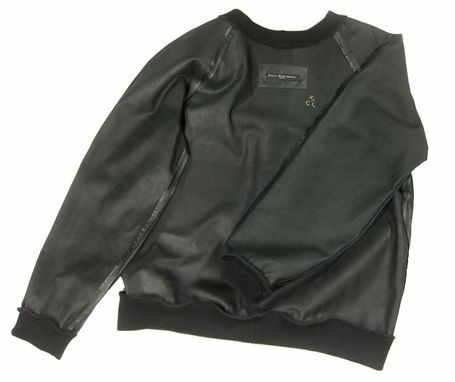 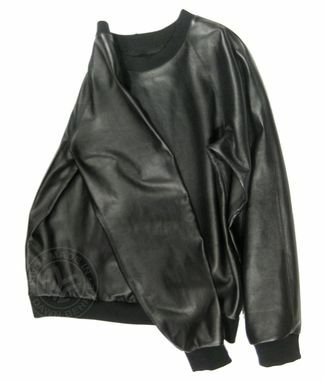 This "sweatshirt" is made of a fine black Italian lambskin leather with a clean finished back. 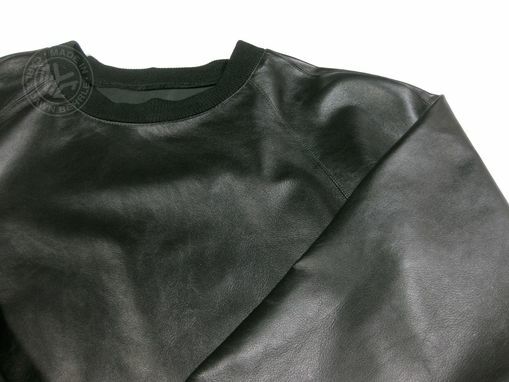 This makes the shirt very lightweight and super soft. 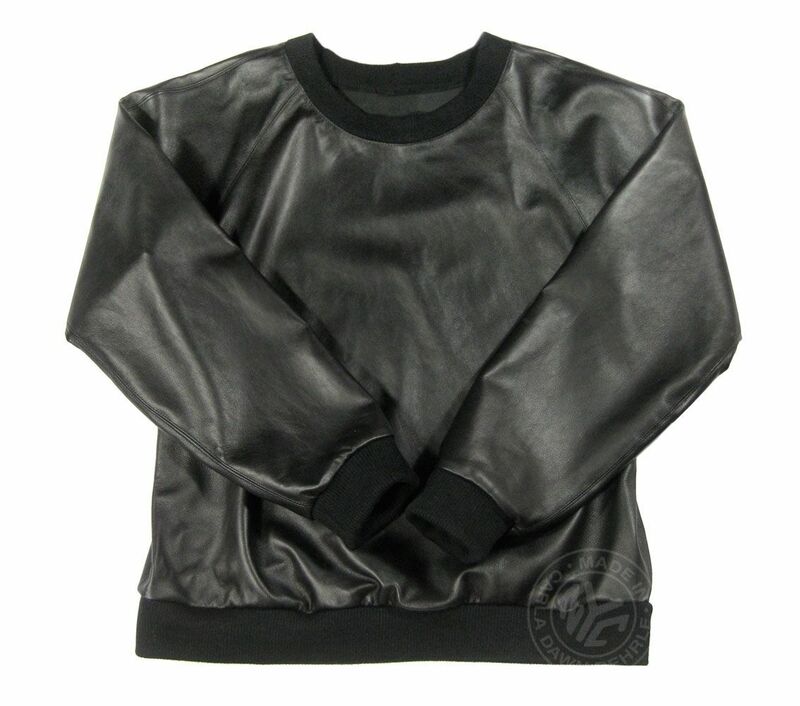 Custom made for $1850 or Givenchy Off-the-Rack for $3155.00? 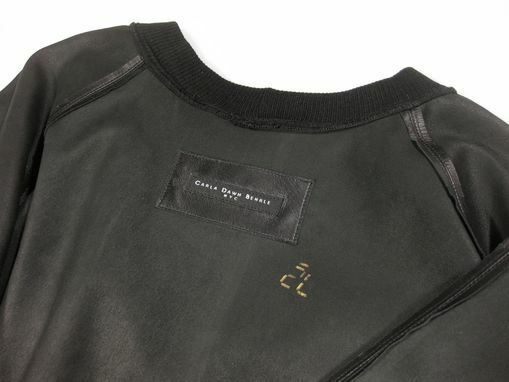 Each garment is individually custom-made, from the pattern, to multiple toile fittings and then carefully hand-cut & crafted in our NYC studios.